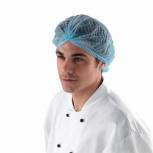 Shield Double-Stitched Blue Mob Cap (Pack of 1000) DM01 Pack of 1 Soft non-woven elasticated head cover with double stitch for added strength and support. Manufactured in accordance with the European PPE Directive 89/86/EEC. 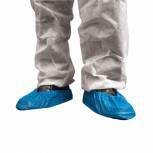 Designed for minimal risk applications ensuring a high level of hygiene in many sectors. Blue. 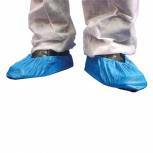 Shield Overshoes 14 inch Blue (Pack of 2000) Df01 Pack of 1 CPE deeply embossed Overshoes with elasticated edges. Manufactured in accordance with European PPE Directive 89/686/EEC. Ideal for use in clean rooms, estate agents, hospitals, laboratories, manufacturing, nurseries, swimming pools and sports centres. Shield Disposable Apron Dispenser Blue (Pack of 1000) A2/B Pack of 1 Economy Polythene Aprons, manufactured in accordance with European PPE Directive 89/686/EEC. 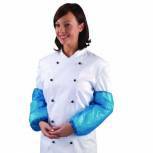 Aprons will ensure a high level of hygiene for many industries such as food, printing and medical. Size - 690x1007mm. Colour - Blue. 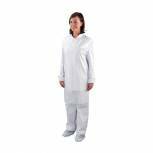 Shield Disposable Aprons on a Roll White (Pack of 1000) A2W/R Pack of 1 Shield Apron Roll. Disposable polythene aprons, perforated on a roll for easy dispensing. 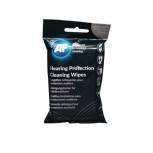 Provides a high level of hygiene for many industries. Suitable for use in electronics, food preparation, hospitals, laboratories etc. Colour: White. Shield Disposable Aprons on a Roll Blue (Pack of 1000) A2B/R Pack of 1 Shield Apron Roll. Disposable polythene aprons, perforated on a roll for easy dispensing. 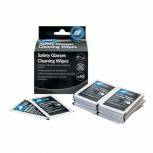 Provides a high level of hygiene for many industries. Suitable for use in electronics, food preparation, hospitals, laboratories etc. Colour: Blue. 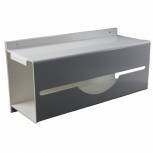 Wall Mounted Apron Roll Dispenser White GE/PARD Pack of 1 Dispenser for disposable apron rolls. Designed for use with rolls of 200 aprons. Easy access aperture. Ideal for food industry, manufacturing and clinical environments. Wall-mountable design. Colour: White.